We are offering GI Coils. These are available in different lengths and diameters to serve diverse applications and are made of premium quality. These are highly durable and have long lasting functional life. We also offer hot dip galvinized coils, corrugated sheets , colour coated sheets , galvnaised pipes, black pipes, trapozoidal sheets , profile sheets, tile profile, puf panel. 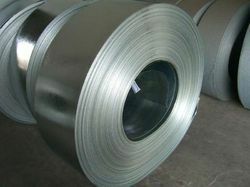 Prime, Overrolled As Well As Secondary In Hot Rolled, Cold Rolled, Hot Dip Galvanised, Electro Galvanised, Galvalume & Prepainted Coil & Sheets.